If you are looking to see a film that will inspire you, change your thinking or simply entertain in an unusual way, then you need to consider taking a look at some of the work of the independent filmmakers that are out there. Every single week, film festivals around the country celebrate the work of these artists. While some of these, like Sundance or the Toronto Film Festival, are very well known, others are hidden gems that are worth exploring. Many of these are held in the Pacific Northwest region. If you love cinema and enjoy experiencing the work of new, up-and-coming artists, here are some of the festivals you will want to visit. You can find independent film festivals all around the country, but the Northwest seems to be a hotbed for them. There is at least one exhibition held every single month of the year in the region, and in October you can find 17 different regional film fests. Even in the middle of the cool winter months, filmmakers are showcasing their works. For this reason, if independent films interest you, you need to make the Pacific Northwest a destination for your next trip. No matter when you come, you will likely find a festival to attend. One of the challenges of enjoying the film festivals in the Pacific Northwest is finding the right one to attend because there are simply so many to consider. Here is a list of some of the best ones to consider. Ashland Independent Film Festival – Held in Ashland, Oregon, the Ashland Independent Film Festival makes its debut in April. The five-day festival brings over 7,000 people to the Varsity Theatre and several other historic venues in Ashland to see short films, documentaries and, feature films and hear from filmmakers and other special guests. 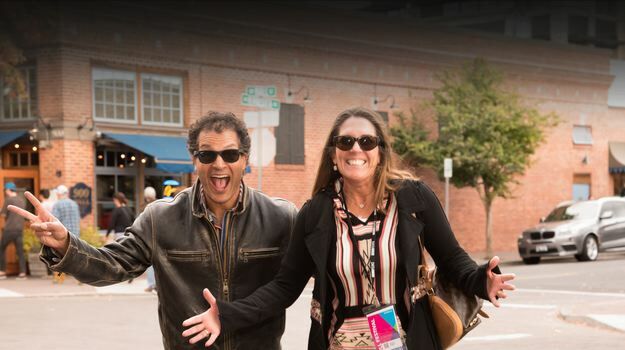 BendFilm – Lectures, films, outreach, and education are all part of BendFilm, a festival held in Bend, Oregon every October. This festival is short, lasting just one weekend, and intimate, with several smaller movie houses or theaters to show the films. Join us in October for our 15th Anniversary ! Big Sky Film Fest – In February, Missoula, Montana comes alive with the Big Sky Film Festival. This festival focuses on non-fiction and draws over 20,000 people. Attendees can hear from over 200 special guests while they see the art on the big screen. National Film Festival for Talented Youth – NFTY opens every April in Seattle and brings together the best young directors in the industry, focusing on those 24 and younger. The festival showcases over 250 films from talented young people and brings in special guests to speak to the directors and attendees. It’s one of Filmfreeway’s Top 100 Rated Festivals. Seattle International Film Festival – Another Seattle film extravaganza, this one takes place in late May and early June. During the event, which draws in 155,000 attendees over a span of 25 days, over 400 films will be viewed featuring the work of people from 80 countries. It’s one of the largest and most popular film festivals in the country. Tacoma Film Festival – in Tacoma, Washington, the Tacoma Film Festival focuses on new independent films, showcased over a week in October. Though it’s one of the newer festivals on the list, it has won several awards and is well worth attending. 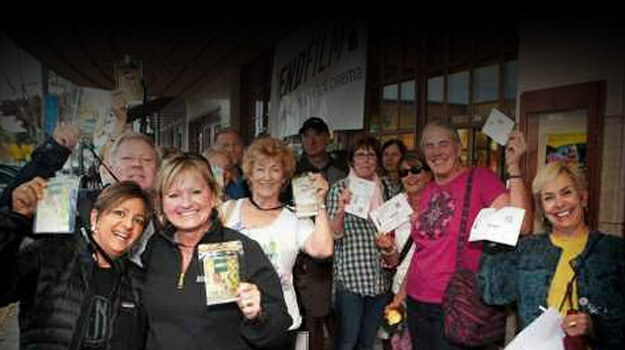 Sun Valley Film Festival – Every March, Ketchum, Idaho’s Sun Valley region hosts this popular festival. In addition to the films, the event will feature round-table discussions, lectures, and parties that are focused on getting people excited about film and the changes that are happening in the industry. Portland International Film Festival – Portland, Oregon’s independent festival features the work of people around the globe, and it is held in February. This is the annual showcase of new world cinema for the Northwest Film Center, and it brings around 90 feature films and 40 short films to the big screen in the city of Portland. Eastern Oregon Film Festival – Based in the quaint town of La Grande, Oregon, the Eastern Oregon Film Festival began as a pop-up street event in the city’s downtown. Eastern Oregon Film Festival continues to be a sustainable community project and an Eastern Oregon staple. Each of these festivals brings something unique to the people who love film and cinematic art, and all benefit from the friendly people and mild climate of the Pacific Northwest region. Among these, BendFilm is unique because it’s a more intimate festival. If you are looking for a festival that provides close access to filmmakers, excellent seating for lectures and talks, and a quiet, but fun artistic community, BendFilm is the one you will want to visit. Bend is a culturally diverse community with a passion for the creative arts, and this comes out in every aspect of the festival. It’s also set against the beauty of the mountains, providing a beautiful setting for a fun festival event. Visitors will be pleased with the diverse selection of films and the excellent hospitality of the people of Bend, Oregon. Are you looking for a hip, avant-garde film festival in the Pacific Northwest? Be sure to check out BendFilm in the mountainous wondertown of Bend, Oregon!